Recently I was asked about ordering a copy of an ancestor’s Social Security application. 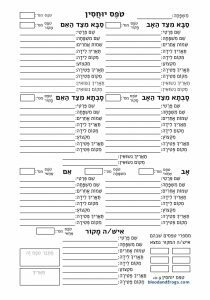 The application, called an SS-5 Form, is usually used for genealogy to get the names of the applicant’s parents. If you don’t know the birth date of a relative, it can also be used for that purpose, although that information is available in the public SSDI databases (and parents names are not). The index includes about 50 percent of deceased persons from 1962 to 1971 and about 85 percent of the deceased persons from 1972 to 2005. It also includes a few deaths from 1937 to 1961. That said, the database itself shows something a bit different. If you search for all deaths in the database from 1937 to 1961, there are 740,152 results. That’s a bit more than ‘a few’. What’s going on here? Even weirder, if you search for records before 1937 (when SS started) there are also records (a bit over 2500). Something is obviously wrong with these records. Keep these imperfections in mind when using the data. If you’re wondering why the percentage increases, it’s because not every working person was registered in the early days of the system. As time went on, more people participated in social security, and thus more people are also recorded in the SSDI. You might have read that congress has criticized the online publication of social security numbers and accused online companies that do so of making identity theft easier. I have argued in the past that in fact that is backwards, but putting that aside, some online services have put restrictions on access to SSDI data, such as not showing anyone who died in the past 10 years, etc. Recently a law was passed making it impossible to order SS-5 Forms for anyone who died in the previous 3 years. The law also effects the publication of new deaths to the SSDI, but won’t kick in until March (see this article at the Legal Genealogist for more information on that). Whether 3 or 10 years, however, that doesn’t affect genealogists at all due to another government policy change. Back in 2011, the Social Security administration changed the access rules, where before you could order a complete SS-5 form for any deceased person born more than 70 years ago, they increased it to anyone born more than 100 years ago. Additionally, if the death of the application cannot be proved, then full records are not available for 120 years after the applicant’s birth. So it’s currently January 8, 2014. That means if the person is known to be dead (i.e. 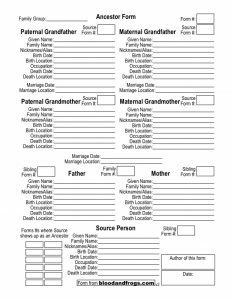 you have a death certificate, or their death is recorded in the SSDI) then they need to have been born before January 8, 1914 if you’re going to be able to get a full record that shows the applicant’s parent’s names. If they don’t show up in the SSDI and you don’t have a record of their death (but you do have a social security number), then they have to have been born before January 8, 1894 if you want to get the applicant’s parents names. Keep in mind one important thing. If the person was born more recently than 100 years ago, you can still order a copy of the SS-5. The Social Security Administration will happily take your money and send you a copy of the record, however, they will block out the names of the parents in the copy they send you (making the record mostly useless for genealogical purposes). To find a person’s social security number (and at the same time confirm that they are deceased according the Social Security Administration) you can search the SSDI on several sites. One good site is FamilySearch’s SSDI search page. Another public search page is Mocavo’s SSDI Search page. I will say that I believe FamilySearch’s to be the most up-to-date database, and they also post what date the database was updated – as of today it was updated with data up to November 30, 2013 – less than two months ago. Indeed my grandfather who passed away in September is listed in the FamilySearch database, but not in the Mocavo one. So let’s say the relative you’re researching was born more than a hundred years ago. You find their Social Security number, either through the SSDI or through other means. How do you order a record? Well that’s actually easy. 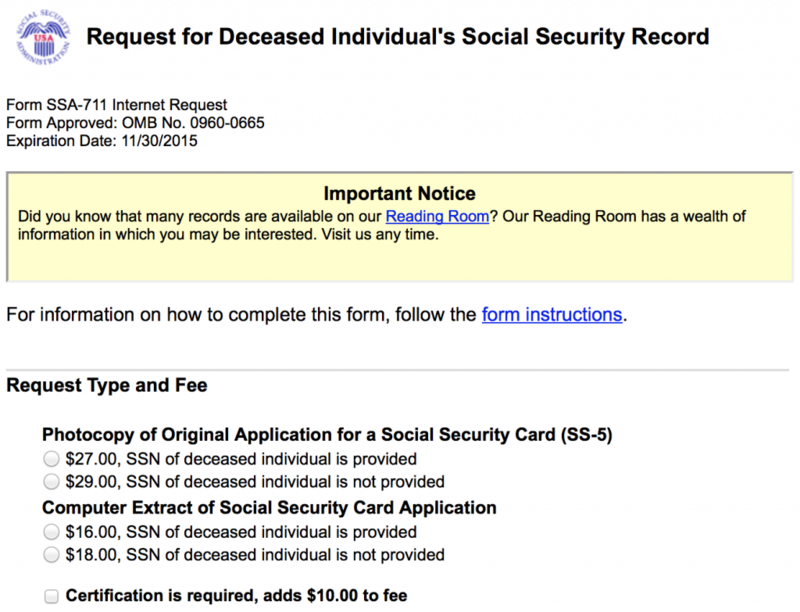 You just go to the Request for Deceased Individual’s Social Security Record page, pay your $27 and order the record. Interestingly for two dollars more you can order the record even without the Social Security number. This is odd because searching for the record without the number would seem much more difficult and more costly than $2. As I mentioned, my grandfather passed away in September. If I wanted to order his SS-5 form, according to the 2011 regulations I wouldn’t be able to order his un-redacted SS-5 form until he would have been 100, which in his case is not too far away – he was 98 – so July 2015. However, because of the new law recently passed, I can’t order the SS-5 at all until 3 years have passed, so September 2016. An extra year and a bit. In general, however, the restriction is likely to be on the 100-year regulation. Everyone now needs to wait 3 years on ordering an SS-5 now, but if a relative passed away at the age of 80, you’d have to wait 20 years before you could get the un-redacted SS-5 form with the name of the relative’s parents on it. If your relative died before 2011 and you had ordered the records before the regulatory change then, you could have ordered the same SS-5 Form immediately, and received it un-redacted (since the relative was over 70). Regular readers of this site have probably noticed my postings have slowed down of late. Please don’t think, however, that nothing is going on with this site. 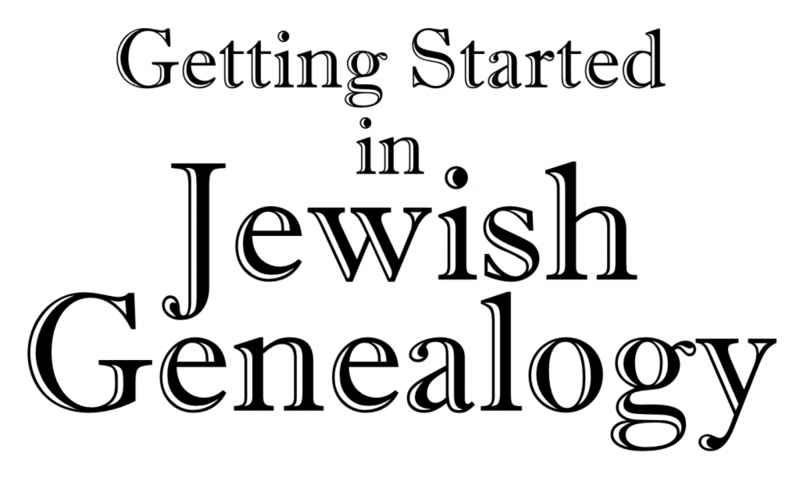 I’d like to take this opportunity to announce one of the main reasons I haven’t been postings frequently, which is that I have been preparing for my upcoming lecture at the IAJGS International Conference on Jewish Genealogy in Washington, DC next month. I will be speaking on the topic of ‘Utilizing Belgian Archives for Jewish Research’ on the second day of the conference, at 9:30am on Monday morning. This lecture will be a much-expanded version of one of the first articles I posted to this web site, Researching Jewish Relatives Who Passed Through Belgium, which unfortunately is very much out of date even though it was written only last November. After the conference I will be updating the information online about this topic. The main thrust of the lecture is to discuss the two major collections of Immigrant Police records in Belgium, at the Felix Archives in Antwerp (covering just Antwerp) and at the State Archives in Brussels (covering all of Belgium), as well as several collections of records held by the former Jewish Museum of Deportation and Resistance in Mechelen. These collections relate primarily to the tens of thousands of Jews who resided in Belgium in the early 20th century, leading up to and into World War II, when Germany occupied Belgium. These files frequently contain photographs of the individuals mentioned, and almost always mention the names and birth locations of the parents of each individual, obviously important information for genealogists. As part of the preparation for my lecture, I have been updating much of the information I am presenting on, largely because of the many changes that have occurred related to the archives I am discussing. Since being accepted to speak at the conference several months ago, the Felix Archives in Antwerp carried out a major redesign of their website and eliminated the finding guide for their online images of the Immigrant Police index books (instead they just point you to an online search on FamilySearch.org). In addition, the Jewish Museum for Deportation and Resistance is being closed in preparation for the creation of a new museum, the Memorial, Museum and Documentation Centre on Holocaust and Human Rights. Besides simple changes to screenshots in my presentation, these major changes have required me to re-work much of what I will be speaking on in my lecture. These two archives made up two out of the three archives I discuss in my lecture, and both have been changed considerably. The introduction of an online search interface to the Felix Archives collection of Immigrant Police records from Antwerp was indeed a major breakthrough in researching those records, although the removal of the finding guide to the online index images by the Felix Archives in deference to this online search interface was a mistake in my opinion, as being able to browse through the original index pages can sometimes lead you to find records you may not otherwise find – not the least because the index at FamilySearch.org is not perfect. As part of the preparation for my lecture I’ve done something that I thought others may find useful, I’ve created a new browsable interface to the Felix Archives images of the Immigrant Police records index for Antwerp. I apologize that the user interface is not very sophisticated. As a techie I myself don’t like user interfaces that utilize frames (or iframes as they are now called), but it seemed the quickest and easiest way to put this together (although believe me, even so it was not quick or easy to create a new index to over 5000 images), and I was far enough behind in my preparation for my lecture that I did this in the quickest way possible. If you happen to be an expert at manipulating iframes using CSS, send me an e-mail as I have a somewhat easier-to-use version that has one bug that prevents me from using it instead. So now you know why I have not been as active as usual on this web site. I hope those people whose families passed through Belgium in the 19th and 20th centuries, in particular in Antwerp, will take a look at the new browsable interface I’ve put together. I welcome comments and feedback on it. If you’re going to be at the conference in DC, please come see my lecture on Monday morning, or if you cannot make the lecture (I know I compete against six other lectures and two meetings) please at least find me another time during the conference and say hello. For many people researching their family history in the United States, the research process seems to end at the coast. Finding information on where your ancestor came from before getting off a ship in New York or elsewhere in the US can be a daunting task. While some researchers can track their families back to the Mayflower or other early colonists, there is a large percentage of Americans that had family arrive around the turn of the century. Between the years 1870 and 1930 the population of the US increased more than threefold, from 38.6 million people to 123.2 million. Besides their numbers, these immigrants are unique in that the information available for them is much more varied then those that came before them and in some cases even more so than those that came after them. Some information is based on the time of an event, some is based on the time of birth of the person and some is a combination of both of those factors. 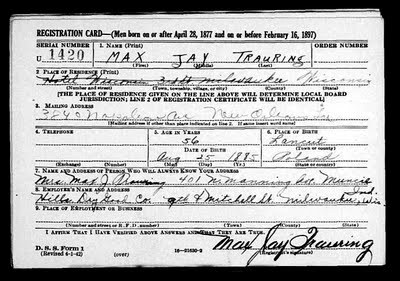 For example, if your male ancestor lived in the US in 1942 and was born between 1877 and 1897, then they would likely have taken part in what is called the a military draft registration called the “old man’s registration” and you can find their WWII draft cards. These cards show their place of birth, their birth date, their address at the time and reference another person who is a permanent contact which is sometimes another relative. These are not military records per se and certainly most of these men, who were between the ages of 45 and 64, did not serve in WWII, but they do provide information on the person and you might not think to look for such records if you thought your ancestor was too old to serve in the army. I’m going to review several different types of information you can find on immigrants, and show how you can use that information to get to the next piece of information. These resources include Passenger Manifests, Census Records, Naturalization Papers, Military Draft Cards, and Historical Newspapers. Let’s start at the beginning. Your ancestors probably arrived in the US on ships. All ships entering the US had to keep manifests listing all their passengers and those records were generally preserved. While accessing these records used to be quite difficult, today it is actually quite easy. The biggest problems now are if the name on the manifest is not the name you know of your ancestor, and if their name is common, figuring out which person with the same name is the person you are trying to find. While all records between 1820-1952 are archived by the National Archives, some are easier to access than others, due to where and when your immigrant ancestor arrived. Keep in mind that the names on the passenger manifests are the names they filled out when they departed for America, and may not be the name you know for them. I don’t want to further the myth that many people changed their names at Ellis Island, because that’s not true (see my article Name Changes at Ellis Island), but when searching for people keep in mind that their first names may have been what they were called overseas, and not what they were later called in the US. If you know a family traveled together, it is sometimes useful to search by each of the family members, such as the wife and children, in case one of their names is closer to what you think it was then the husband. Name changes did occur frequently after arrival in the US, so if you ancestor did change his name once in the US, you obviously will need to know their original last name when searching through the passenger manifests. If your ancestor became a naturalized citizen in the US, their naturalization papers can sometimes tell you what their original name was overseas. If your ancestor arrived in New York between 1855 and 1890, they probably passed through America’s first immigrant processing center, Castle Garden. Castle Garden was located on the bottom tip on Manhattan, the Battery, and the Battery Conservancy today operates a web site CastleGarden.org that lets you search through the immigration records. In addition to their own search interface, Stephen Morse has a search page that gives you a little more flexibility in searching the Castle Garden records. It is estimated that one sixth of Americans had their ancestors processed through Castle Garden. 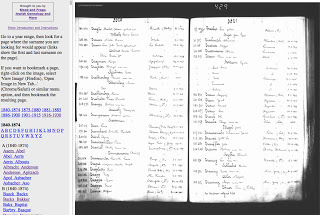 In 2018, in an agreement between the Statue of Liberty-Ellis Island Foundation and FamilySearch, a new index and new scans were introduced, which is searchable on LibertyEllisFoundation.org (in addition to the existing records for the Ellis Island period), and on FamilySearch in their New York Passenger Lists, 1820-1891 collection. Between 1890 when Castle Garden closed, and 1892, when Ellis Island opened, immigrants were processed at another location in lower Manhattan called the Barge Office. After a fire at Ellis Island in 1897 there was also a period where the Barge Office was used again until new buildings were built on Ellis Island. There is no fancy web site for the Barge Office, but their records are included in the Castle Garden records (see above). Ellis Island opened in 1892 and operated until 1954, although after the Emergency Immigration Act of 1921 and finally the Immigration Act of 1924 which greatly restricted the number immigrants allowed into the US, Ellis Island was used less for immigration and more for processing refugees and to handle deportations. At its peak in 1907 Ellis Island processed over one million immigrants. It is estimated that one third of all Americans had ancestors processed at Ellis Island. The Statue of Liberty-Ellis Island Foundation operates the LibertyEllisFoundation.org website which allows searching for people who passed through Ellis Island and the viewing of the original passenger manifests. Stephen Morse’s One-Step Webpages site has several forms that make searching the Ellis Island database easier. His Ellis Island Gold Form is the probably the best place to start your search. In 2018, as mentioned above, FamilySearch and the Statue of Liberty-Ellis Island Foundation cooperated to create a new index and new scans, and Ellis Island records are available now through FamilySearch through their New York Passenger Arrival Lists (Ellis Island), 1892-1924 collection. In the above example (click to enlarge) you can see the arrival of a Max Trauring in NY in 1902. He’s listed as being 17 years old from Austria, but most recently residing in Antwerp, Belgium. He was listed as going to his uncle David Suffrin in Chicago. Note that in this record there is a Lea Trauring also coming from Austria, a few years younger than Max Trauring in the above record, and also going to her uncle David Suffrin in Chicago. In this record, however, her birth town of Lancut is listed. As you might guess Max and Lea were siblings and both were born in Lancut, as you’ll see illustrated in a later example. Passenger manifests from New York after 1924 can be found in the New York, New York Passenger and Crew Lists, 1909, 1925-1957 collection at FamilySearch. The US government carries out a census of all residents every ten years. Some states also have carried out censuses at different times. The information collected in each census changes each year, and some censuses are more useful than others for finding out about your relatives. Federal censuses from 1880 and earlier do not contain a whole lot of information about the people, although they do list basic information like address, age, marital status, as well as the place of birth of the person recorded, and that of each of their parents. This information can of course be very useful if you have no idea where your ancestor came from, but it can also be frustratingly useless. For example, if your ancestor arrived in the 19th century and listed the place of birth of themselves and their parents as ‘Russia’ that could translate to any one of the following modern-day countries: Armenia, Azerbaijan, Belarus, Estonia, Finland, Georgia, Latvia, Lithuania, Kazakhstan, Kyrgyzstan, Moldova, Poland, Russia, Tajikistan, Turkmenistan, Ukraine or Uzbekistan. Other territories including parts of Turkey may also be included in that list depending on when exactly the person arrived. Focusing on the years 1870-1940 we can look at the Federal Censuses of 1880, 1890, 1900, 1910, 1920, 1930 and 1940. The 1880 census, as mentioned above, contained only basic information on immigrants. The 1890 census was, unfortunately, destroyed in a fire in 1921. Out of the 65 million or so records only some 6000 remain. As an alternative for those ancestors which were living in New York City, you can check the New York City 1890 Police Census, which is searchable at FamilySearch in their New York, New York City, Police Census, 1890 collection, although in order to see the images themselves you’ll need to access this collection in a Family History Center. The 1900 census added some very useful information to the census for finding out more about your family. It asked married women how many children they had given birth to, and how many were still living. This can help you to figure out if children were left behind overseas, or if perhaps some children died young. Knowing that records exist somewhere on these additional children if they are enumerated in that field, can help you know what to look for when searching records. In addition, in 1900 the census started asking what year the person immigrated and their naturalization status. Knowing the year the person arrived can help you track down their passenger manifest, as well as help estimate other dates like their naturalization. The naturalization status field showed whether the person had not started the naturalization process and was thus still considered an alien (AL), whether they had filed their first papers (PA), or if they were already naturalized (NA). The 1910 census asked all women about the number of children born and surviving, not just married women. It also asked how many years the person was married (in their current marriage). The 1910 census also introduced the first question about language spoken, but only usually only recorded the language if the person did not also speak English. The 1910 census also listed whether the the person was a ‘survivor’ of either the Union or Confederate armies during the civil war. If your ancestor lived in the US during the civil war, this indication can help you know whether you should be looking for civil war military records. In the above example (click to enlarge), a record is shown for a Max Trauring in Brooklyn, NY. You can see he’s the head of the household (his wife and children were on the next page), that he’s 42 years old and that he’s been married for 18 years. You can also see that he and his parent were from Austria (the Austrian Empire, in this case what would become part of Poland after WWI) and he and his parents spoke Yiddish. You can also see that he arrived in the US in 1888 and that that his Naturalization papers had been filed (Pa). 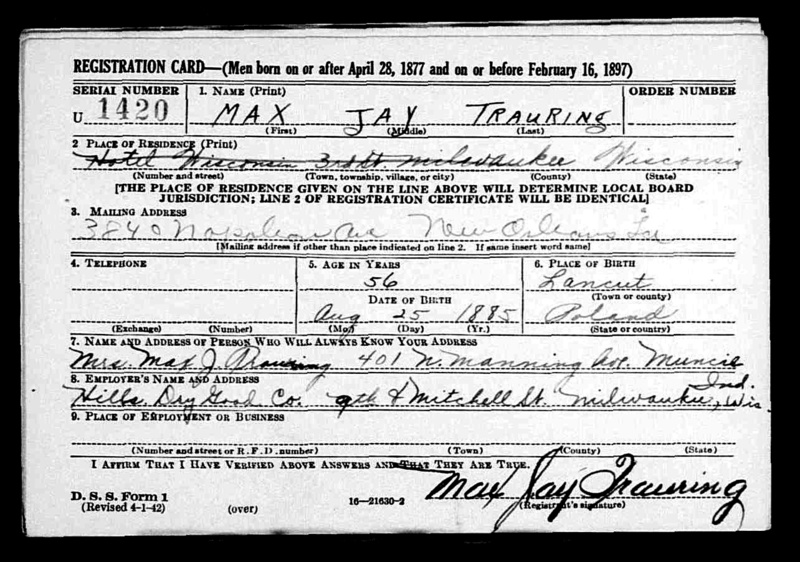 Note that this is not the same Max Trauring as in the Passenger Manifest example above, but a cousin of his with the same name. The 1920 census had a couple of very unique pieces of information which are very useful. First off, it asked what year the person was naturalized. Having the specific year obviously helps in finding a person’s naturalization papers. The 1920 census also asked what language the person spoke at home before immigration, as well as the languages spoke by their parents. Information on language spoken can sometimes be a better indicator of the country of origin that the Place of Birth field, since like in the example of Russia above, there may have been over a dozen languages spoken in one ‘country’ listed in the the Place of Birth field. In the 1930 census there is less useful information than in 1920, but there is the added field showing if the person ever served in the US military. If your relative served during WWI, then it should be shown in this field. The 1940 census was released on April 2, 2012. You can search the census at the National Archives’ Official 1940 Census Website, or via FamilySearch, or Ancestry. So now that you know what you’re looking for, where do you find these census records? If you have a subscription to Ancestry.com, their Census Records are probably the easiest place to search for census records. They have all publicly available census years indexed with all images online. Other sites also have census collections such as Footnote.com (which has 1860, 1910, 1920 and 1930) and FamilySearch.org (which has many of the censuses online, although it’s not clear to me if they are all fully indexed yet). You can also access the census records on microfilm in various archives and family history centers. 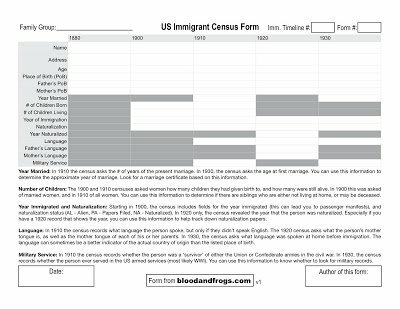 For those who follow this blog, you know I recently introduced a new PDF form called the US Immigrant Census Form, which helps you extract the important information from the 1880-1930 censuses that will help you find out more about your relative. 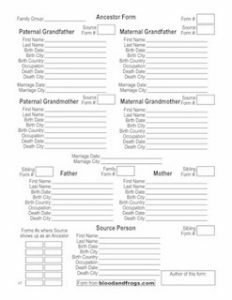 The form, available from the Forms page, helps you collect all the specific information mentioned above about a particular person over each of the above years. If your ancestor lived in the US over one or more of the covered census years, I think you’ll find the form very useful is collecting all the relevant information on your relative in one place. In addition to the federal censuses, states also carried out censuses at various times. If your relative doesn’t show up in a federal census, it’s possible you might find them in the state census close to it. To find what census records are available for each state, and where to find the records for them, check out CensusFinder.com. If your family lived in New York at the turn of the century, the 1905 NY State Census is very useful and is indexed and searchable for free on FamilySearch.org. The records include the person’s address, which country they originated from, the number of years in the US, and their citizenship status. In the above example (click to enlarge), a family is shown in the 1905 NY State Census living in Brooklyn. You can see their names, genders, age, country of birth, years in the US, citizenship status (the parents are listed as Aliens, and the children are listed as citizens) and occupation. This is the same head of household as shown in the 1910 Federal Census above. If you don’t know where your relative came from, their naturalization papers can be a great way to find out about where someone came from, although usually only if they were naturalized from 1906 and afterwards. 1906 is the year the federal government took over the naturalization process. Before that date, someone could become a US citizen in any number of local and regional courts. If your ancestor was naturalized before 1906, it is still possible to find their records, but they may not give you the information on the town where the person originated. From 1906 on, the records became standardized and required the town of birth for each person. In many cases, only the husband/father went through the naturalization process, while the wife and children received their citizenship through the father. Keep in mind that if the person you’re looking for was a minor when they arrived, you’ll likely need to find the naturalization papers for their father. The National Archives has a good article on the issue of women and naturalization online. Interestingly, after 1907 a women who married a man automatically received the same citizenship status as him, meaning if he was a US citizen and she was not, she would gain US citizenship, but if she was a US citizen and he was not, she would lose her US citizenship. There are a few ways to look for naturalization papers. There is a difference between records that are pre-1906 and post-1906. Some of the pre-1906 records have been scanned and indexed, such as at Footnote.com, where you can find records from various court regions such as NY Eastern, NY Southern, OH Northern, CA Los Angeles and CA San Diego. I’ve personally found my gg-grandfather’s Declaration of Intention (1901), Oath of Allegiance (1903) and Petition for Naturalization (1903) from the Footnote.com NY Eastern collection. As I have already written about how to find and order Naturalization papers on the Naturalization page, for more information read what I’ve already written there. In both World War I (WWI) and World War II (WWII) men were drafted into the US military, and this included many immigrants. Even if your male relative that you are researching did not serve in the military, if they were the right age at the time, they would have been required to register for the draft, and their draft cards can contain important information on their origins. As mentioned earlier, in the case of WWII the records which are actually public are from a set of draft card for men who were between the ages of 45 and 64 in 1942. This means they were born between 1877 and 1897, and you might not realize to look for their WWII draft cards. Did your male relative live in the US during WWI, and was he born between September 11, 1872 and September 12, 1900? If so, check WWI Draft Cards (on Ancestry.com or LDS microfilm). In the above example (click to enlarge) you can see the person’s name, address, age, birthdate, whether they have declared for Naturalization, what country the person is a citizen of if not the US (in this case Austria), job, employer’s name and address, closest relative, his signature and on the right side a physical description. That’s a lot of information, although missing from the information is where the person was born – you only know Austria which as this was WWI meant the entire Austrian Empire which spanned a big chunk of Europe. Just to be clear, this is the same person as the example from the Passenger Manifests, but not the same as the person used in the Census examples. Did your male relative live in the US in 1942, and was he born between April 28, 1877 and February 16, 1897? If so, he may have been recorded in the “old man’s registration” which was done of men between the ages of 45 and 64 in 1942 who were not already in the military. Basically, there were a series of registrations for those eligible to fight (i.e. who were of fighting age) earlier, but this Fourth If so, check WWII Draft Registration Cards (on Ancestry.com or FamilySearch.org). Draft registration cards of younger men, who may have actually served in the military are not currently available. Note that draft cards from several southern states (AL, FL, GA, KY, MS, NC, SC and TN) were destroyed and will not show up in any record search, and some of the states which do have records only have partial coverage. In the above example (click to enlarge), which is the same person as in the WWI example, you can see the name and address of the person in 1942, his age (56), his birth town (Lancut) and Country (Poland), his date of birth (Aug 25, 1885) as well as a permanent contact (his wife) and the name and address of his employer (Miller Dry Goods Co. in Wilwaukee, WI). 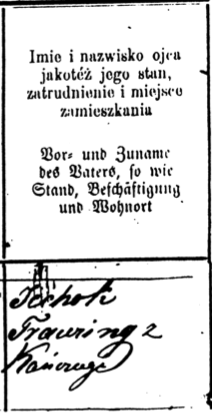 Note that this WWII draft card gives the town of birth (which the WWI draft card did not) and that it lists the country as Poland, not Austria, because after WWI the town of Lancut became part of the newly re-formed Poland. You’ll also note that the town Lancut matches the town of birth given by his sister Lea who showed up in the 1906 Passenger Manifest example above. 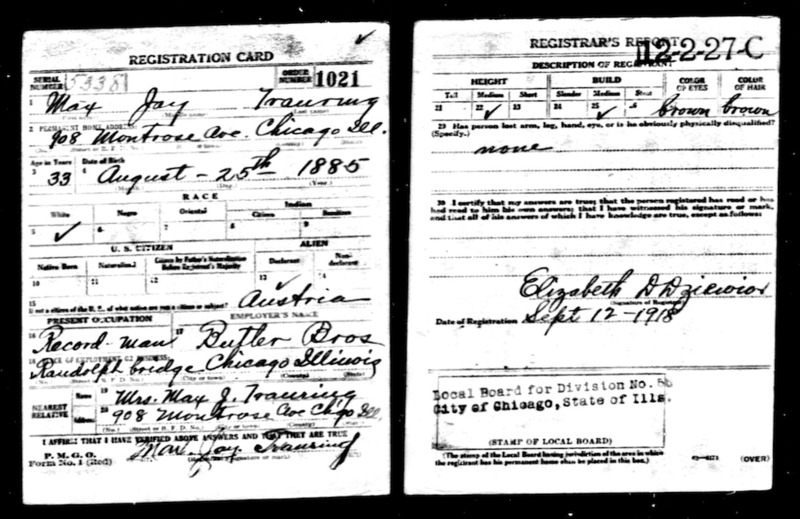 You can also see that he moved from Chicago, Illinois where he was living in the WWI draft (and where he was heading to in the 1902 Passenger Manifest) to Muncie, Indiana where we was living in the WWII draft. 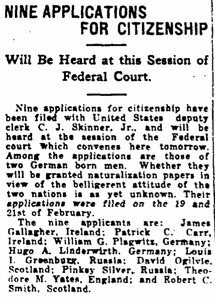 Depending on when your ancestor arrived in the US and where they settled when they arrived, searching through historical newspapers can provide important information on your immigrant ancestors. Some of the most useful information can actually be found in obituaries, although in smaller communities even day-to-day information on an individual might be found. Two of the big sources for historical newspapers are GenealogyBank.com, a commercial company, and Chronicling America, a free-to-use project run by the Library of Congress. In addition to these two large sources, there are many smaller efforts to put newspapers online, sometimes by local libraries or universities. I describe using GenealogyBank.com and other sites in detail in my earlier article Genealogy Basics: Historical Newspapers and I recommend jumping over to that article to see how to search for your ancestors in historical newspapers. Also, in 2018 I added over 200 newspapers to the B&F Compendium of Jewish Genealogy, based on publication location. If you’re looking at a country or state, or a town in Poland, if I’ve added an online archive of a newspaper from that location, it will show up in the Newspapers category. See Links to local Jewish newspapers added to the Compendium for more information on what newspapers were initially added (although I am adding more as time allows). This article covered a lot of possibilities for finding information about your immigrant ancestors. If you’re looking for immigrants that came to the US during the great influx surrounding the turn of the 19th century, at least one of these resources should help you find out about your ancestor, and hopefully point to their origin overseas. Once you know the town of origin for your ancestor, you then can start the next stage of your research to find out about their lives, and the lives of their family, in their original homeland. Of course, these records are only the major records to check, but there may be more records that are dependent of your ancestor’s circumstances. For example, if your ancestor passed through Belgium, there may be records there to check (as described in this early blog article, but due for revision soon as it is a bit outdated). Other sources worth checking are cemetery records. Sometimes people were buried in specific areas of a cemetery owned by an organization linked to the town they came from overseas. No article can be totally comprehensive, but I hope this article helps to get some people started on finding where their immigrant ancestors came from overseas.